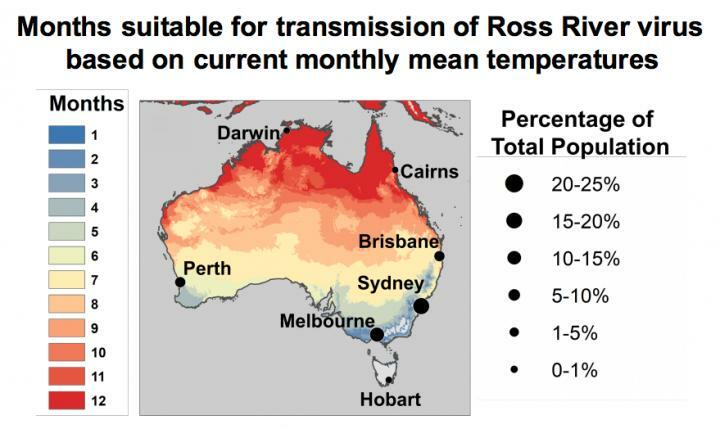 The paper 'Temperature explains broad patterns of Ross River virus transmission' can be freely accessed online at https://doi.org/10.7554/eLife.37762. Contents, including text, figures and data, are free to reuse under a CC BY 4.0 license. eLife aims to help scientists accelerate discovery by operating a platform for research communication that encourages and recognises the most responsible behaviours in science. We publish important research in all areas of the life and biomedical sciences, including Epidemiology and Global Health and Ecology, which is selected and evaluated by working scientists and made freely available online without delay. eLife also invests in innovation through open source tool development to accelerate research communication and discovery. Our work is guided by the communities we serve. eLife is supported by the Howard Hughes Medical Institute, the Max Planck Society, the Wellcome Trust and the Knut and Alice Wallenberg Foundation. Learn more at https://elifesciences.org.